In this modern-day world, one of the most important things is to make sure you never get stuck. It doesn’t matter where you are going – whether you are taking the kids to school, going to work or coming back home after a long day, if there’s one important thing, is to keep going. But what do you do when you find out that your own garage door, is stuck? What do you do when you realize that you need a quick and professional garage door repair service in White Settlement TX? Well, the answer to that might be simpler than you think – you just call Veteran garage door repair in White Settlement TX. Veteran garage door repair White Settlement TX is your go to place when it comes to garage door repair. We provide various garage door repair services in the entire White Settlement area, and we’ll be happy to answer your call whenever you may need us in order to make sure that you and your garage door – will never get stuck. 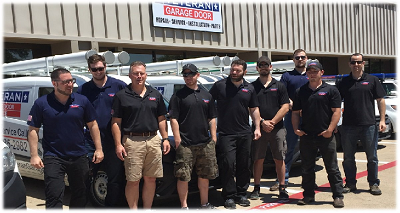 Our team of professional experts specializes in many garage door repair services, including – noisy garage door repair, broken hinge replacement, bent tracks repair, door cable repair, bent section repair, garage loose chain belt repair, gear sprocket repair, door off track repair, broken spring replacement, sensor repair, opener repair, broken roller replacement and many more. Looking for a brand-new garage door? No need to look any further! Here in Veteran garage door repair White Settlement TX, we can provide you with a beautifully designed brand new garage door that will perfectly fit your needs. You’ll be able to choose between a variety of materials, colours, and designs, right out of our stunning collection in order to create the most prefect garage door to your house. Because here in Veteran garage door repair, we make sure that all your garage door’s needs – will be answered in one place.